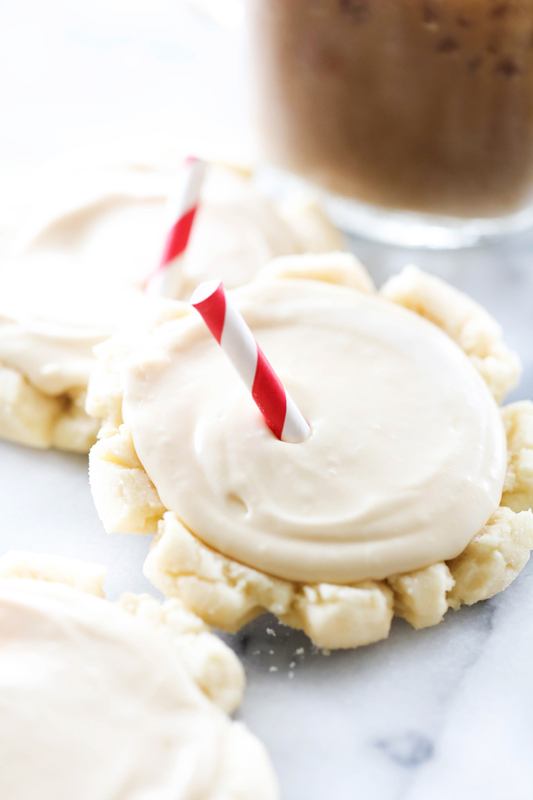 These Root Beer Float Sugar Cookies bring a summertime staple in the form of a cookie. The root beer flavor is subtle, not too powerful, but enough of a flavor to transform a simple sugar cookie into a unique treat. Root beer floats are a summertime staple for me. When I was pregnant with my oldest (spent my entire third trimester in the summer) I CRAVED root beer like it nothing else. Ironically, my daughter came now OBSESSED with root beer. It is her favorite special drink. If you love root beer, these cookies are right up your alley. Even if you don’t, the flavor is not overwhelming, but enough to bring a unique taste. There is both root beer concentrate in the cookie and the frosting. The frosting is creamy and really brings in the creamy part of a root beer float. If you are looking for a delicious summer-themed cookie, look no further! 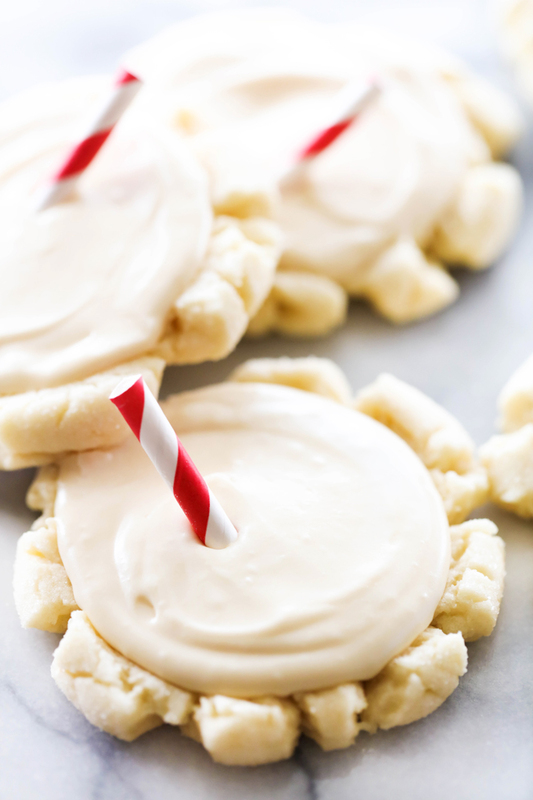 These Root Beer Float Cookies are just the ticket! Add oil, milk, root beer concentrate and eggs beat again. Where does the vegetable oil come in? With the milk, concentrate and eggs. I am so sorry for leaving that out of the directions. Thanks for catching that! so sorry about that huge typo. Yes it has eggs and I just added it to the ingredients and directions. Thanks for catching that!